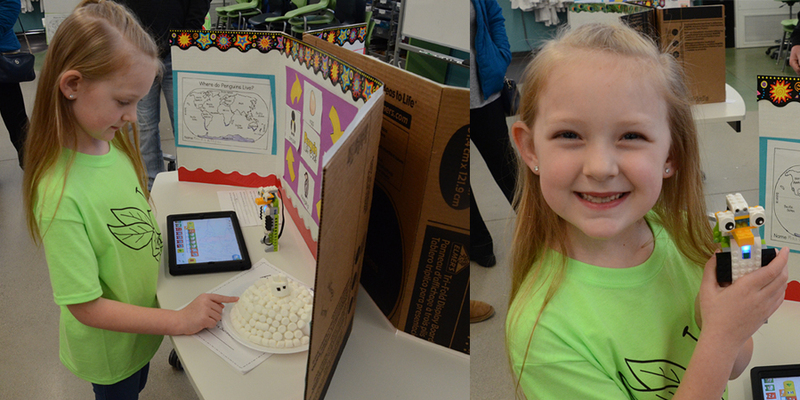 Reagyn Locke, 7, a first grader at Washington STEM Academy, displays her robotic penguin and her hand-made igloo. WARSAW — Parents of Washington STEM Academy first-graders converged on the elementary school on Wednesday, March 20, to see the latest project created by students of the school — this time the lesson seemed to meld robotics with nature. Burden said that in addition to creating robot penguins with LEGOs, the students programmed the plastic animals with motion detectors and prerecorded messages to give a lesson on the lifestyle and habits of the animal’s real-life namesake. The igloos were constructed using such normal materials as marshmallows and glue.